We believe that collaboration and data-driven validation create better products, faster. Validate strategies with Design Sprints. Continue to grow with Design Cycles. We use our 5-day intensive Design Sprints to collaboratively identify a problem, rapidly prototype a solution, and conduct user testing. The results of the Sprint give you a validated direction to follow as you continue to design your product with us and our network of collaborators. Over the course of a collaborative 5-day Design Sprint, we create and test a high-fidelity interactive prototype to solve a problem revealed by your users. The Design Sprint will let you rapidly validate the problem you’re trying to solve and gather critical feedback to start building your solution. The prototype that we create during the sprint will be a valuable design asset which can be used as a reference for development, or to demonstrate your product to potential investors, partners, or customers. On the first day, your team and ours will work together to define the problem you’re trying to solve and generate possible solutions individually. On Day 2, we’ll collaborate to review all of our ideas from the previous day and choose a single solution to explore going forward. We will spend the second half the day outlining a storyboard flow of the solution. On Day 3, our design team will take over and create a high-fidelity clickable prototype based on our chosen solution. On day 4, we will test the prototype with 5 potential users while collecting critical feedback. Please note that it will be your responsibility to identify and contact these test users. At the end of the Design Sprint, we’ll present a synthesis of our work during a 2-hour remote meeting, outlining our findings and recommendations based on the prototype user tests. Interested in our Design Sprint? Talk with us to schedule your workshop today. Using what we learned during the Design Sprint as a guide, we will immediately begin working on an active backlog found in the shareable Basecamp list to kickstart the Design Cycle process. At the end of every month, you will work with your dedicated project manager to prioritize the backlog for the following month within the budget defined by our agreement. Project managers on both teams will synchronize the daily priorities to ensure that everyone is working cohesively. 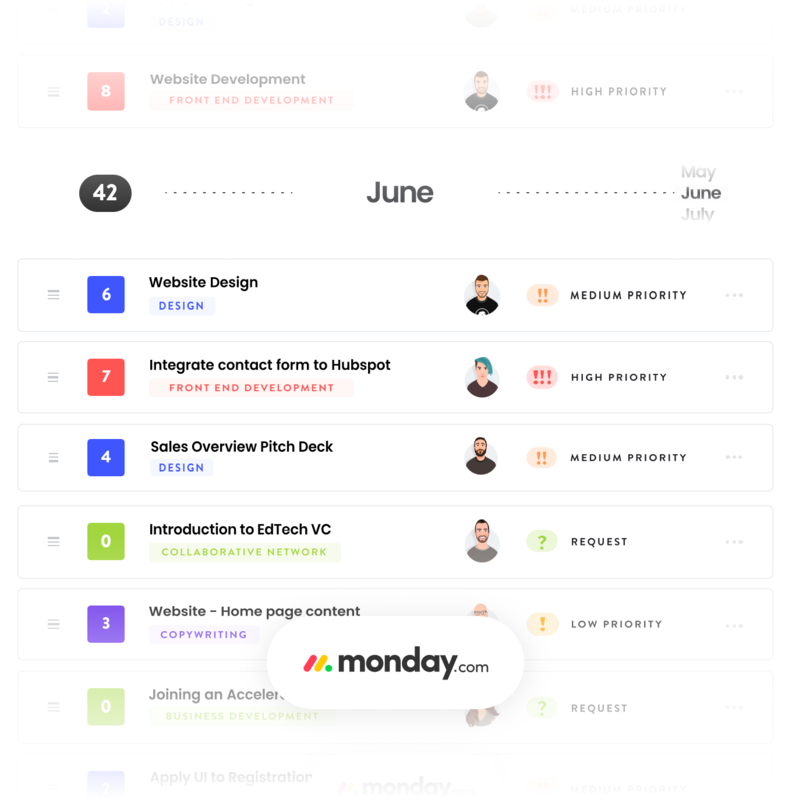 Weekly, the team will share progress on the top priorities. The Checkmate product team assembled for this sprint are experts in their respective fields. The right specialist is selected at the beginning of the sprint to create operational efficiencies. Our project management tools, like Drive, Slack, and Basecamp, will all be shared. That way you can see progress as it happens and treat both teams as a single unit. During our engagement, we’ll constantly be looking for people to connect you to. We believe in building a strong community of entrepreneurs, experts, and value creators. Between accelerators, investors, industry experts, other startups, and a collection of mentors, Checkmate is bringing together the entrepreneurial ecosystem in New England. Take a look at our case studies to see the results of our process. Get monthly email updates about product design and entrepreneurship events, as well as news about the Checkmate Team. Made with ❤️in New Haven, CT.